PSI Systems Inc. is your one-stop shop for everything related to pressure washers in Colorado, including safety tips in using our products. To the experienced user, a pressure washer is just a handy tool for home and commercial use. But for beginners and the uninitiated, it can be a hazardous piece of equipment. This is especially true for someone who doesn’t understand or lacks the knowledge as to why there is pressure in a pressure washer. When used properly and safely, a pressure washer is a great cleaning tool. It is important that you wear closed-toe shoes and safety goggles when using it, which begs the question why. The answer? A power washer jet spray can cause serious injuries, especially when pointed directly at someone. The high-pressure injection is enough to knock someone off their feet and even leave permanent damage. The amount of pressure (PSI) exerted by a machine can punch a hole through different materials, including diamond. Although commercial pressure washers don’t have ratings high enough to cut through concrete, it could still cause damage to human skin. Read the pressure washer manual. Nothing beats knowing and understanding the machine you will be handling. The more you know how to properly and safely use it, the better and safer you are and those around you. So, take time to read the user manual, even if you’ve used one before. Each machine is different. Never point a pressure washer at someone or at yourself. 1000 PSI is enough to injure and amputate, especially at close range. If you need to wash dirt off your hands after washing the driveway, don’t use the pressure washer, at all. Before using the washer, make sure that the area is clear and that there is nothing hazardous nearby, such as moving vehicles, kids playing around, and stuff you’ll trip on. And when the equipment is in use, never allow children and pets to play around it. Always wear personal protective equipment. Your feet, hands, and eyes are at high risk of injuries and flying debris. So, protect them at all costs. You should also protect yourself from any direct spray, pointing the washer away from you and using only the right pressure nozzle. When not spraying, engage the safety latch to prevent accidental sprays. Use the red tip pinpoint jet nozzle with care. Better yet, avoid using it unless absolutely necessary. The nozzle delivers a small, very concentrated stream of water that is strong and powerful enough to damage a soft surface. You can just imagine the kind of injury you will inflict with a high-pressure injection. So, use it with care, or don’t use it at all. Avoid using a pressure washer at height. The kickback force of a pressure washer can push you off the ladder or from the roof, so it’s better not to risk it. If pressure washing at height is needed, hire professionals to do the work. Store the pressure washer properly. After use, turn off the equipment and squeeze the trigger before you disconnect the hose and nozzle. This will release any residual pressure. Be very cautious when moving the washer, especially after extended use. This is because the engine and motor can get very hot. Consult with PSI Systems Inc.
We’re not only in the business of pressure washer trade-in Colorado residents recommend, but also in taking care of our clients from sales to after-sales. 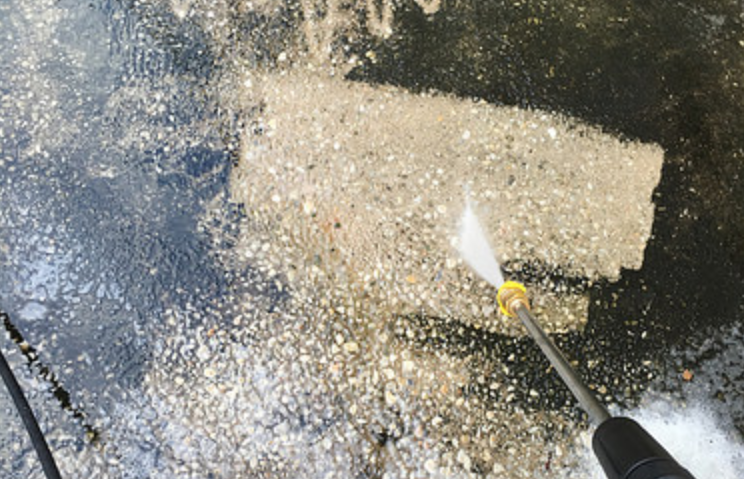 If you need professional advice in using pressure washers safely and properly, you can rely on us to equip you with the knowledge that will help you. Don’t hesitate to give us a call during business hours.